JTC Valves sales, stocks ASB packed valves that are manufactured by Sherwood, keeping in mind your safety and optimal performance. 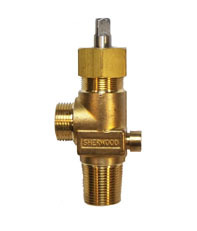 ASB valves are designed for use in applications that use chlorine gas, liquids, corrosive gases, insecticides, fumigants, bleaching agents and preservatives. All ABS packed line valves available here, are manufactured to offer user convenience and safety. The buyer has an option of internal packing nut that allows for increased wall thickness and secondary seal cap. ASB packed valves can be used as inlet valves or outlet valves for a wide range of gas applications. If you are looking for ASB valves that offer highest safety, durability and optimal performance, contact us now. The ASB packed line valve not listed here, is in our warehouse. Write to us for all your specific needs and our experts will contact you right away!